The End of the New Hampshire Advantage? 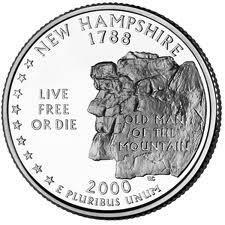 We look at a new study that suggests that those factors that have made New Hampshire the economic envy of the region, like its low tax burden, higher income levels and steady influx of well educated people may be waning. And the one time New Hampshire advantage may be a thing of the past. We'll look at the study and see how bad it may be. Click here to read the report "From Tailwind to Headwind, New Hampshire's Shifting Economic Trends"